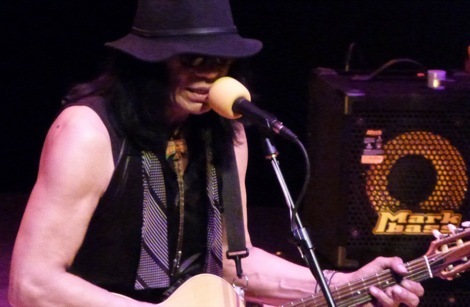 The original bad girl of rock & roll opens her new, autobiographical UK tour in Liverpool. 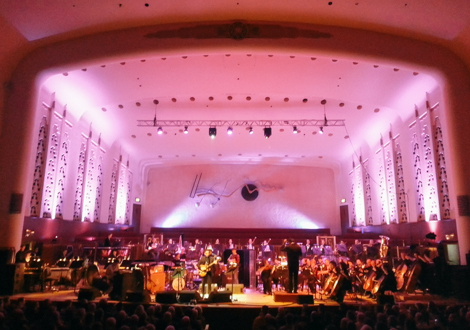 Getintothis’ Shaun Ponsonby finds out if the voice, sass and attitude is still intact. The difference between the ’60s and the decades that followed is that it never loses that coolness. Whereas ‘70s, ‘80s and ‘90s throwbacks come and go, the spirit of the ‘60s maintains the romanticism of the era; Motown, The Beatles, the Stones, swingin’ London, pirate radio stations, Woodstock, Dylan. It’s all there. This means someone like Ronnie Spector can come out of the woodwork intermittently and never seem out of place. It also means a whippersnapper such as this writer can hear this music in 2015 and have it mean as much now in rainy England as it did to kids in sunny California fifty years ago. Spector has made several attempts at a mainstream comeback in the last five decades. She’s hooked up with George Harrison, Bruce Springsteen, Eddie Money, Desmond Child, Joey Ramone, The Raveonettes, Divine Comedy…never really hitting enough of a stride to make the kind of leap that her old session buddies and fellow survivors Cher and Tina Turner did to the mainstream. Perhaps her incredibly distinctive voice and connection to one of the most iconic records in the history of record making (and most notorious of producers) means that she will always be associated with the ‘60s. If this is the case, then she at least appears to have made peace with it. Her current show is called Ronnie Spector Sings The Fabulous Ronettes and gives in fully to the idea that Spector will forever be associated with her former group. But, now in her mid-70s, does she still possess the swagger, sass and energy that made her the most badass of badass women back in the day? That question was answered extremely quickly. 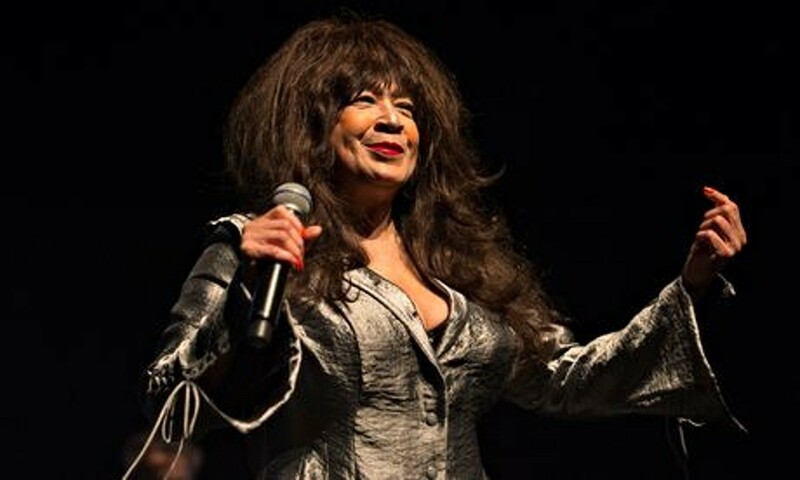 The minute she strutted on stage and let out one of her iconic cries of “woah-oh-oh-oh” to signal the opening Baby I Love You, it was clear that Ronnie Spector remains the badass she always was. Despite this, she also has fun up there. She goofs off and shakes her thang. We were half-tempted to catch her on the way out and invite her out on the town. You’d have a great time with her. Vocally, she hasn’t lost that Noo Yawk attitude either. In fact she sounds pretty much as she did when she first cut those smashes back in the day. Underlining the Ronettes theme, her three female backing singers were made up appropriately, beehives and all. Yet, despite the nostalgia and constant footage of the girls in action being played in the background, Spector managed to avoid this becoming an oldies-but-goodies lounge act. Between songs, she told carefully plotted anecdotes about her career as a Ronette; the group’s formation, their big break, recording the glorious Walking In The Rain in one take, the Rolling Stones opening for them on their first UK tour, sharing a dressing room with Dusty Springfield. There was (admittedly, pretty inaudible) footage of their first ever TV appearance. The stories were told with the same kind of sass and good natured humour that Spector puts into her vocal performances, as well emotion during her tribute to sadly departed sister and co-Ronette Estelle before singing I Wish I Never Saw The Sunshine. Furthermore, the setlist actually helped inform the story she was telling about her career, giving the whole night an autobiographical feel. Towards the end she talked of starting over in the early 70s, playing a gay club and noticing a guy crying in the corner. Turns out the guy was Johnny Thunders of the New York Dolls. Joey Ramone produced her version of Thunders’ beautiful You Can’t Put Your Arms Around a Memory, dedicating the song to the fallen punks, showing how wide The Ronettes’ influence was. As the song ended, a picture of Amy Winehouse was shown on the screen, and Spector remarked how she “showed me that what I did mattered”, before performing a version of Back To Black that proved just how much Winehouse took from Spector both vocally and aesthetically. But there was a small, gun toting elephant in the room with a dodgy wig on. Her ex-husband, producer, abuser and occasional waitress murderer Phil Spector was never mentioned (other than an allusion to her “escaping LA”). Though strange on the surface – their two stories are so publicly intertwined – it’s probably understandable that she wouldn’t wish to talk about the man who kept her prisoner in her own home and made every attempt to derail her career when she finally escaped. Even if he did discover her, write all her best known hits and construct the sound with which she is most associated. It was the end of the main set when that drum intro was heard and she belted out Be My Baby, the audience at the Philharmonic finally able to get on their feet (as they were clearly itching to do throughout). It remains one of the most perfect pieces of pop music, even when stripped of the wall of sound it is famous for, which the 10-piece band did attempt to replicate, but let’s face it…it’s impossible. A short encore featured Frosty The Snowman, which The Ronettes performed on A Christmas Gift For You from Phil Spector – an album so incredible that we listen to it all year round. She ended with I Can Hear Music, which though made most famous by The Beach Boys was originally recorded by The Ronettes. She waved and seemed to say “good night, London”, which caused a few confused looks. But, who cares? We can forgive her. She’s still got it. She’s a survivor, a unique voice and an utter delight. The ’60s will always be cool, and so will Ronnie Spector.